The manufacturer's formula may be your best option. How to clean cymbals using common metal polish (Step #1). 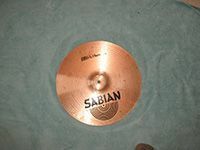 How to clean cymbals using common metal polish (Step #2). Cymbal cleaning is obviously a matter of preference. I prefer cleaning cymbals because I enjoy shiny metal. Plus, these cymbals I picked up were sitting in a garage for a year or more; playing them as is may result in tetanus or some other life-threatening illness. Ok, to make metal shiny, you need to get rid of the tarnish or patina. Tarnish isn’t a bad thing. While it looks dull, it actually protects the metal from further corrosion. To get rid of tarnish, you need an acid with an abrasive. 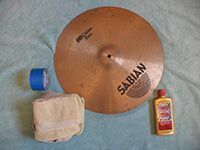 Below I’ll discuss how to clean cymbals using three different solutions: professional cymbal cleaner, common metal cleaner/polisher, and a homemade, environmentally friendly metal cleaner. 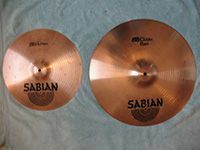 The manufacturer’s formula may be your best option.Cymbals are composed of an alloy – a combination of different metals. Some are made from copper and tin (bronze) and others from copper and zinc (brass). The exact combination of metals varies from company to company, as do different styles within the same brand. If your cymbals were pricey, they undoubtedly came with a care and cleaning guide. If not, contact the manufacturer. 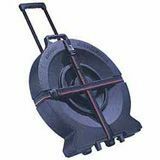 Most cymbal companies make their own cymbal cleaner that is specifically designed for their alloys. Using these inexpensive cymbal cleaners is the safest, surest way to clean cymbals. 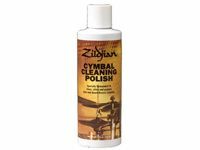 Heck, you can even order Zildjian Cymbal Cleaning Polish at Amazon. How to clean cymbals using common metal polish (Step #1). Any way you do this, it’s going to get very messy. I’m cleaning the cymbals on a towel in my kitchen. You don’t want this crap in your tub. I’d go outside, but it’s #%#@ing cold. First, rinse or use a wet rag to wipe dirt and debris so you won’t grind it into the cymbals. Dry off any excess water using a cloth or rag – moisture hates metal. 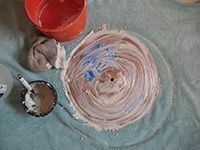 Before you begin polishing, you’ll need to cover the labels with electrical or painters tape – that is, if you want to keep them. 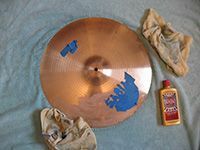 How to clean cymbals using common metal polish (Step #2). Add a small amount of the metal polish to a clean cloth or rag. Attack small areas at a time and try to work with the grooves as much as possible. 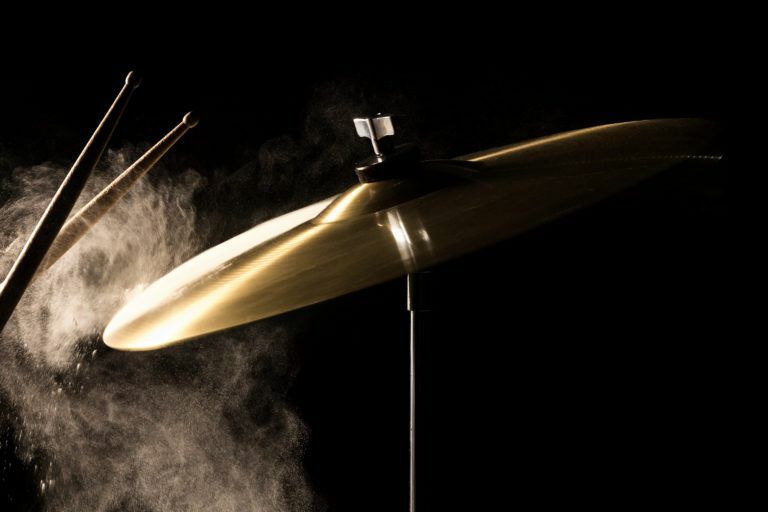 Yes, this is very hard work – you wouldn’t want to clean cymbals every day. Make sure to flip to a clean part of the cloth for the different areas to avoid grinding in the tarnish. When you’re finished, buff thoroughly with a clean rag to remove any rem nants of polish or moisture. How to clean cymbals with flour, salt, and vinegar (Step #1). It’s time to try the homemade cymbal cleaner. Mix vinegar, flour, and salt together in a bowl until you have a thick paste. Exact measurements aren’t necessary, but you want to go light on the salt. Too much salt will be overly abrasive and leave tiny scratches on your cymbals. You can work with a little paste and a small area at a time; however, I’m lazy and fatigued from using the metal polish, so I’m going to apply a thin layer of paste and let it sit for ten minutes before starting. How to clean cymbals with flour and vinegar (Step #2). After ten minutes, come back and start scrubbing with a clean cloth. Remember to work with the grooves as best you can. When finished, rinse off any residue and dry thoroughly with a clean cloth. If any moisture is left on the cymbal, it will develop a dark brown or green patina fairly quickly. The results. Though I am now the proud owner of two shiny, clean cymbals, they are not flawlessly clean. I suspect these much-abused cymbals wouldn’t really “wow” anyone unless a considerable amount of metal was stripped away, which isn’t something you want to do unless they are merely going to be for decoration. The metal polish proved to be slightly better, but I suspect a commercial cymbal cleaner would have been better still. Even so, they look impressive – like different cymbals really. Now that you’ve learned how to clean cymbals, will you? It really is a matter of preference. After learning how to clean cymbals and completing the task, I wonder if I’ll ever do it again. Remember, the patina or tarnish that forms on bronze or brass actually protects the metal. 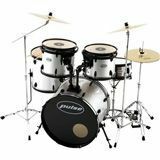 The difference in sound is so subtle that only drumming gods and sincere music aficionados can detect it. Unless, like mine, your cymbals are in horrible shape, covered not just by tarnish but dirt and grime, I would leave them alone. If you own nice cymbals, have them cleaned by a professional. They use giant drums that spin the cymbals at a high speed while a highly trained professional buffs the cymbal to a mirror shine, all while keeping the shape and sound of the cymbal unmolested. Cover sheet. Cymbal cleaning is a terrible chore. Protecting your cymbals will make this duty a much rarer event. If you have your drums set up all the time, as many budding percussionists do, cover them with a sheet when you’re away. This is an easy, quick way to protect them from dust and moisture in the air. It may even keep your friends from banging on your drum set every time they see it. Handling. New cymbals come with a thin layer of protection that will wear away in a matter of time. The acids on your skin will hasten the loss of protection. These acids will also oxidize older cymbals, which will leave an uneven tarnish. This is one of the main reasons people have to learn how to clean cymbals. Always handle them by the outside edges alone. 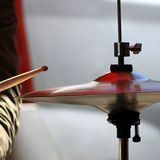 If friends try to hit the cymbals like bongos, you are entitled to an open-hand slap or kidney shot. Cases. Most young percussionists don’t have money for cases to move their drums around. But if you’re going to invest in expensive cymbals and move them around a lot, they are a must. Hard cases offer the best protection and are considerably more convenient than their soft brethren. You can stack things on them without worrying about bending the bell or denting the cymbal.